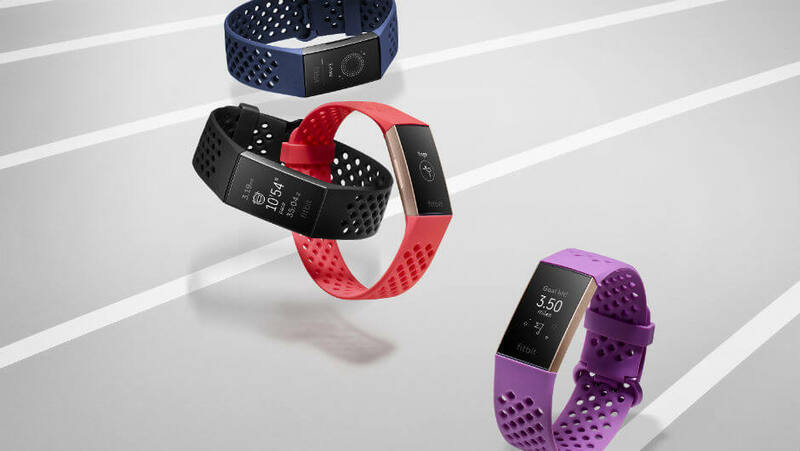 Fitbit has unveiled its newest and most advanced fitness tracker to date, the Fitbit Charge 3. The new Fitbit will be available later in the year, and has a range of updates and improvements to build on its predecessors. Unsurprisingly, the Charge 3 will be replacing the Charge 2 and promises improvements to both the number and accuracy of the sports and activities that it can track. The Charge 3 is also something of a hybrid device, blurring the lines between a smartwatch and a fitness tracker. It’s entering a competitive market, with Garmin having just unveiled its own Vivosmart 4 fitness tracker, too. The Charge 3 is currently available to buy now, with prices starting at $149.95 for the standard version and $169.95 for the Special Edition with Fitbit Pay. There’s often a lot of hype – without much substance – when new wearables are launched. However, we’ll cut through the noise and give you the facts and figures about the Charge 3 and whether it’s the right wearable for you. Is the Fitbit Charge 3 a fitness tracker or a smartwatch? However, it has new features that push it closer to a smartwatch than any previous Fitbit tracker. For example, it can provide more notifications than ever before. These include calendar alerts and push notifications from smartphone apps. What’s more, you’ll be able to quick reply to certain notifications if you use an Android phone. How long is the Fitbit Charge 3’s battery life? Fitbit claims it’ll last for seven days on a full charge. That’s pretty impressive, but it also notes that this will vary with use and other factors. So, if you’re tracking sports and replying to notifications frequently, you’ll need to charge it after a couple of days. 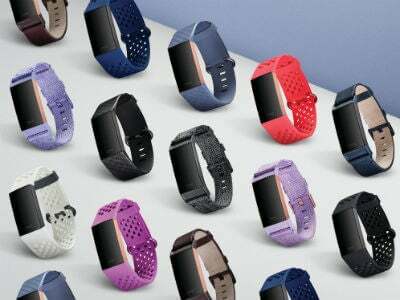 When is the Fitbit Charge 3 available? The Charge 3 is available in two versions: the standard or Special Edition. At the moment, the standard edition Charge 3 is available for pre-order, with deliveries expected to begin in October. The Charge 3 Special Edition is also available for pre-order, but will arrive slightly later, with deliveries expected in November. How much does the Fitbit Charge 3 cost? The standard edition Charge 3 costs $149.95 whereas the Special Edition will cost $169.95. For this premium, you’ll get a choice of two different bands, and support for NFC payments with Fitbit Pay. How large is the Fitbit Charge 3? 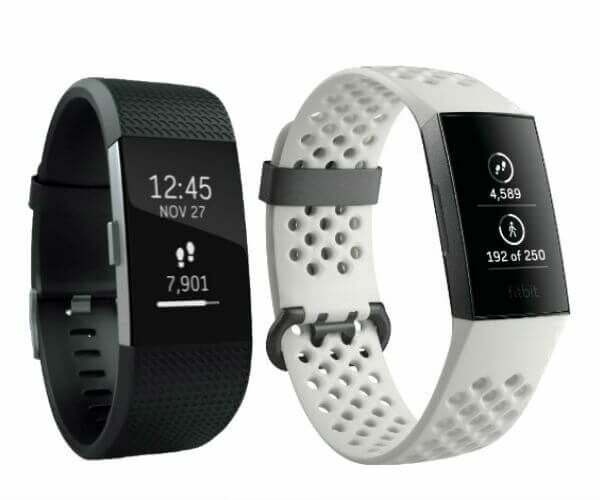 The Fitbit Charge 3 comes with two different-sized bands – small and large. The small will fit wrists between 5.5- 7.1-inches, and the large will fit 7.1- 8.7-inches. The screen is larger than the Charge 2’s by around 40%, but the case is thinner, meaning that it should feel less chunky on your wrist. What colours does the Fitbit Charge 3 come in? You’ll be able to get the standard Charge 3 in two color combos – either a “Graphite Aluminum” screen case with a Black band or a Rose-Gold case with a Blue Grey band. The Special Edition versions are also available in two colours: A Rose-Gold case with a woven lavender band or the Graphite Aluminum case with a white silicone sport band. As ever with a Fitbit tracker, the straps are replaceable and there are two different leather bands, four sport bands and two different woven bands to choose from. Yes, Fitbit claims it’s waterproof to 50 meters. It also claims you can wear the Charge 3 in the sea, so saltwater shouldn’t damage it. Can the Fitbit Charge 3 track your heart rate? Yep. In fact, the Charge 3 has 24/7 heart rate tracking and utilizes something called heart rate zones, which help you identify what stage of a workout you’re in. Does the Fitbit Charge 3 have GPS? No, and this feels like a missed opportunity. There’s no built-in GPS for the Charge 3. However, you can connect it to your phone’s GPS which will be helpful if you’re on a run or cycling. Can you change the band on the Fitbit Charge 3? Yep, and, as we mentioned above, there are loads of replacement bands to choose from. There will also likely be loads of third-party bands available to buy on the internet. Can I control my music from the Fitbit Charge 3? Sadly not. The Charge 3 doesn’t support music control via any app. Nor will you be able to store songs on your Charge 3, either. Can I track my sleep with the Charge 3? Yes, you’ll be able to track how long you’ve slept overall, as well as how long you’ve spent in each sleep stage: light, deep and REM. Fitbit also promises that you’ll be able to use these insights to get better sleep. The Charge 3 is an upgrade to the Charge 2 in two key areas: size and features. As we mentioned above, the Charge 3 is significantly smaller than the Charge 2, despite accomodating a bigger screen. The Charge 3 is also lighter, thanks to the aluminum, rather than stainless steel construction of its screen case. The Charge 3 also has a proper touchscreen, unlike the Charge 2’s screen which simply changed menu every time you tapped it. The Charge 3 also has an inductive button that serves as a wake/back button. When it comes to features, the Charge 3 has greatly improved notification features. It can display a wider range of smartphone notifications than the Charge 2, and if you use an Android phone, you’ll be able to quick reply to some of them. The Charge 3 also does away with Fitbit’s traditional OS, instead using the OS that debuted on its Versa smartwatch. This new OS makes it easier for third-party companies to produce apps for the watch, which might mean we see genuine music controls on the Charge 3 soon. You’ll also be less dependent on the Fitbit app – for example, you’ll be able to create goals on the device itself, thanks to the new OS and touchscreen. The Charge 3 is now fully waterproof to 50 meters, unlike the Charge 2 which was merely splashproof. This means that you’ll be able to take the Charge 3 in the shower, and you’ll be able to use it to track swimming – though how accurate it’ll be is another matter. What is nice to see is that the Charge 3 won’t cost any more than the Charge 2 did at launch. The standard edition Charge 3 will set you back $149.95, exactly the same as the Charge 2. However, the special edition (which is available in different colours and allows NFC payments) will cost $169.65.